I have to admit that as I write this words a painful hangover accompanies me. And because of it, I felt the need to sit sat down and write to remind myself and hopefully you as well some important stoic lessons. It’s easy to say that living with virtue is the supreme good but what about health and wealth? Are those things not needed? Have you ever been sick or hungover? Has it ever happened to you that you want to do something, like going to a trip for the weekend and not being able to do so because of work? Have you ever been furious cause no matter how hard you try to do something, a thing happens and you are no longer able to do it? Have you ever been mad for not having a better house or car or cellphone? Have you ever been angry for not being as handsome or pretty as you’d like? But more deeply, have you ever been impatient or just feeling down for not having the life-situation you’d wish to have. I mean I am having one of those not so pretty situations right now, my hangover is pretty annoying and i do wish for it to end and living with virtue is hard when fortune is not on your side, but this is why the stoics scorned fortune and now that I write about it I begin to understand why. We must scorn fortune because it is not ours, fortune belongs to itself. It’s not up to us to decide what happens to us, but it is for us to decide how to act and use what fortune gives us. That power, the power of virtue (to act from within) is what’s rightfully ours. For Stilbo, after his country was captured and his children and his wife lost, as he emerged from the general desolation alone and yet happy, spoke as follows to Demetrius, called Sacker of Cities because of the destruction he brought upon them, in answer to the question whether he had lost anything : ” I have all my goods with me!” There is a brave and stout-hearted man for you ! The enemy conquered, but Stilbo conquered his conqueror. ” I have lost nothing ! ” Aye, he forced Demetrius to wonder whether he himself had conquered after all. ” My goods are all with me ! ” In other words, he deemed nothing that might be taken from him to be a good. We marvel at certain animals because they can pass through fire and suffer no bodily harm ; but how much more marvellous is a man who has marched forth unhurt and unscathed through fire and sword and devastation ! Do you understand now how much easier it is to conquer a whole tribe than to conquer one man ? This is how a man becomes unconquerable, nothing can be taken from him, he is the conqueror not the conquered. A stoic man has literally nothing to lose, and everything to win. There is just upside. I know it sounds hard and I really do hope that neither you nor I have to ever go through situation so harsh as the one seneca just narrated but nevertheless we have to understand just what it means to be truly stoic. I’m not saying we most live in a cave and use nothing and want nothing. 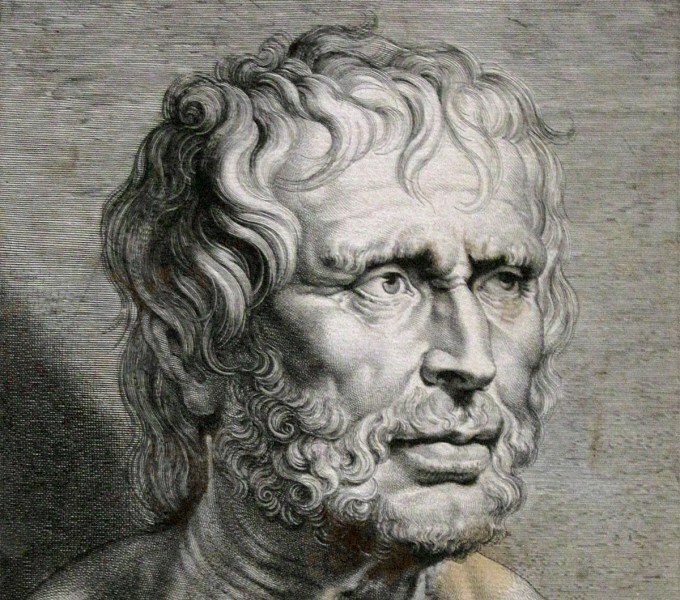 But to better explain it, let us see what Seneca has to say about this. The wise man needs hands, eyes, and many things that are necessary for his daily use ; but he is in want of nothing. The Supreme Good calls for no practical aids from outside ; it is developed at home, and arises entirely within itself. If the good seeks any portion of itself from without, it begins to be subject to the play of Fortune. Practically speaking, if our actions spring from within, anxiety will vanish and we will start to enjoy everything more (the process). A finished painting is a beautiful thing, the artist that makes it admires it and feels quite happy about it but if you ask him what does he enjoyed the most, he will certainly tell you that the most enjoyable was the work itself, painting it. In this case, stoically, you admire the man you are and the man that becomes, value is not place in fortune or in external things but to the capacity we already have which is our power to live accordingly. Stoically, we begin to develop a sweet taste for the work and for our powers more than for our gainings and what fortune gives us. Our inner wealth is what will always be the most important to us. I want to finish with this passage from Ralph Waldo Emerson Self Reliance. Farewell.